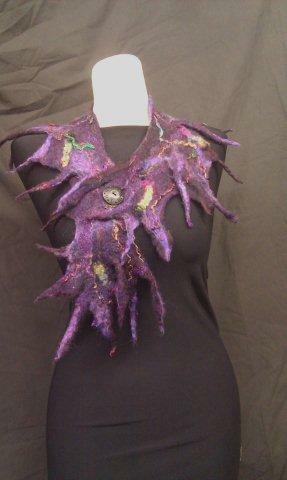 We have some fun wet felting classes coming up in September and October. All these classes are taught by local fiber artist Karen Simpson, and use washed and combed alpaca fiber and wool rubbed with warm soapy water to create beautiful and strong fabric. There is no knitting involved in this type of felting, and absolutely no previous fiber art experience is required. Grid Scarf: Create a very “airy” scarf in this class ….ideal for “not so cold” weather or just a wonderful scarf to “class up” any outfit. Sept 24, 9am-12pm; Grid Scarf Class $25.00 / $12.00 material fee. Lariat Scarf: Scarf or necklace? 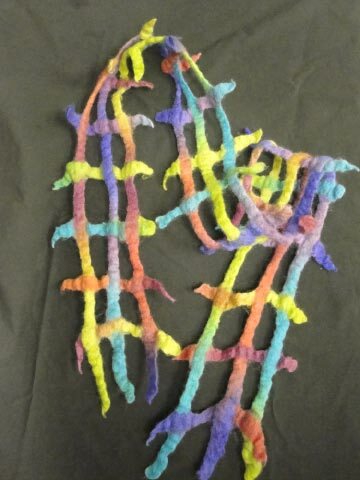 This felted rope like scarf can be either! When you learn this simple technique, you will be able to go home and create lots more items….I’ll give you lots of ideas!!! Sept 24, 1-4pm; Lariat Scarf Class $25.00 / $8.00 material fee. Felted Purse Class: You will have everyone stopping you on the street asking where you bought this purse! It is truly a piece of art! 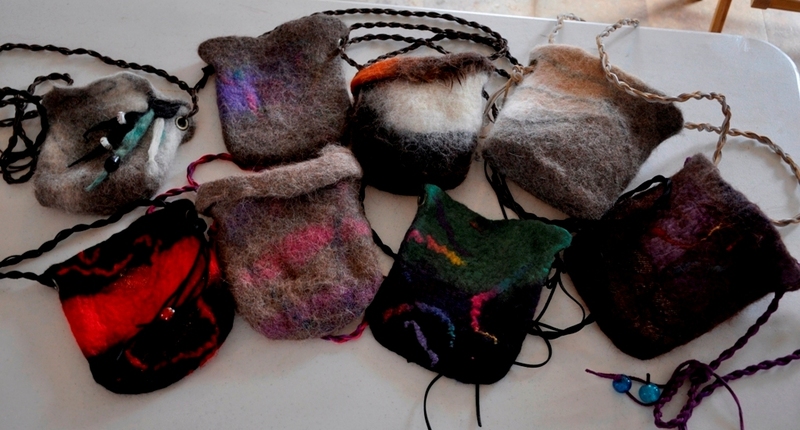 In this class you will make your own small purse from wool and alpaca fibers. We had so much fun at the class in July, that we just had to repeat it in time for making Christmas gifts! Oct 1, 8:00am-12pm; Class $40.00 / $25 material fee. 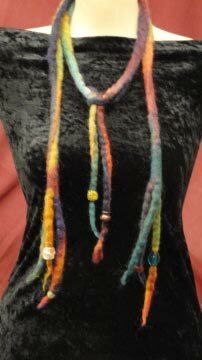 Collar-Scarf: You will make a fabulous decorative Collar-Scarf that will dress up any outfit… whether it’s a jacket, dress or T-shirt! Make it wild and crazy or elegant…your choice. This is one of my favorite class because they all come out so different and creative! 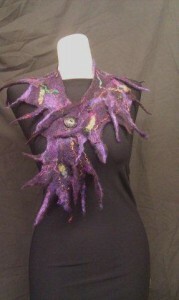 Oct 1, 1-5pm; Collar Scarf Class $40.00 / $20.00 material fee. You can sign up for any of these fun classes online. Lunch will be provided between the classes on each of the Saturdays. We hope you can join us for one or more and learn some great new skills. Register online today. You can see pictures from our previous felting classes on our Facebook Page.